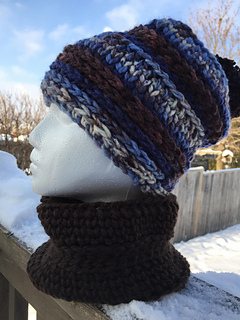 This PDF includes the instructions, including partial photo tutorial for both the Children’s Textured Slouch and Neck Warmer. For my kids this Fall I was looking for something cozy, comfortable and quick to make! These hats are the result of that desire. 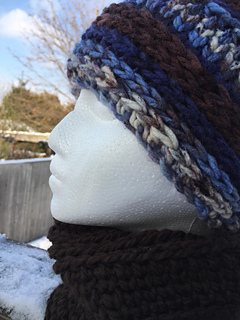 Made with this super soft bulky weight yarn, these hats work up in one to two hours. 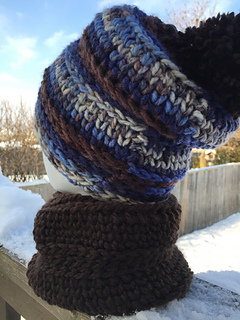 The neck warmer is simple, not too bulky but warm making it a great accessory during the winter months. Yarn: Loops & Threads Charisma™ (%100 acrylic, 3.5oz. skein, 109 yds). Bulky Weight. 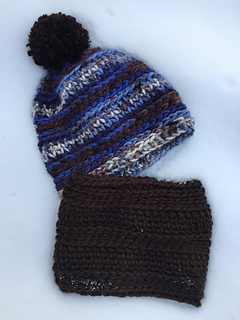 Select two colours – one for body of hat (two Balls) the other for the pom pom (One Ball). 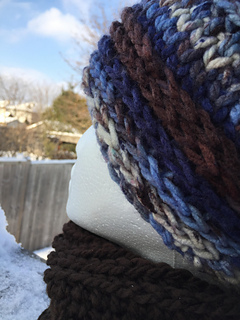 You may substitute this yarn for any other Bulky weight yarn such as Bernat Softee Baby Chunky™ by Yarnspirations™.